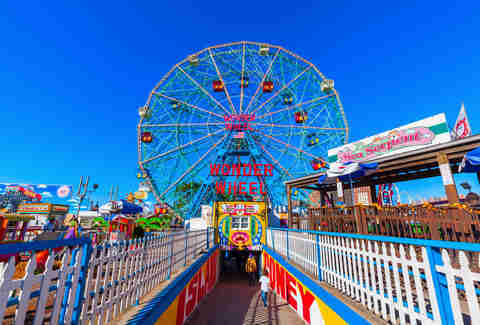 In 1948, Greek immigrant Denos Vourderis gave his future wife Lula what every woman dreams of receiving on her wedding day: a 150ft-high Ferris wheel in the heart of Coney Island. Well, almost. He promised that if she married him, he would buy it for her as soon as he was able. Working his way up from a hot dog vendor, Vourderis kept his word and eventually purchased the ride, which first opened in 1920, decades later in 1983. Keeping the tradition alive, the ride, which is now run by his son Steve, is still a prime spot for proposals. Though the Coney Island boardwalk is dotted with shops and food vendors today, it exhibited a little something different in the early 1900s. If you were to stroll down Luna Park back in the day, you’d likely come across glass incubators of tiny, premature babies. The man behind the operation was Dr. Martin Couney, who set up a small display, to which parents rushed their premature babies to help them survive. Though he didn't charge for care, he did ask patrons to cough up a quarter to view. Sure, the voyeuristic aspect is absolutely strange, but of the 8,000 premature babies that were brought to Couney, approximately 6,500 survived. 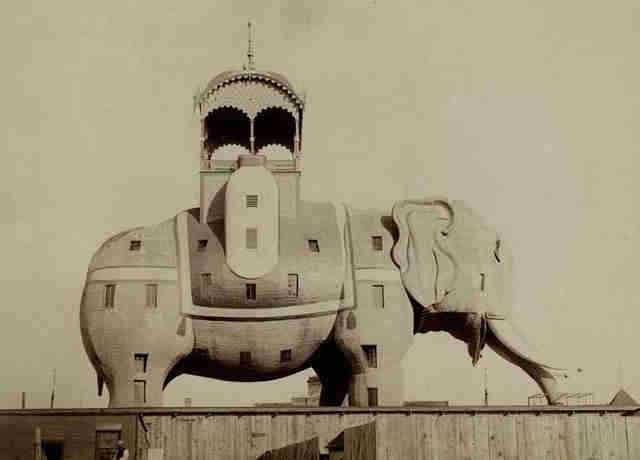 Back in the day, on a less-than-desirable section of Surf Ave and West 12th St, stood a seven-story elephant-shaped building in all its gimmicky glory. (Just picture Nicole Kidman’s boudoir from Moulin Rouge.) Inside the Elephant Colossus, which was erected in 1885, was said to be a concert hall, museum, cigar store, and spiral staircases (the legs) leading up to rooms and telescopes (the eyes). Its designer, James Lafferty, even referred to it as the "Eighth Wonder of the World." But as the saying goes, nothing lasts forever, and what started as a 31-room hotel eventually ended up as a brothel brimming with prostitutes. The whole thing burned down in September 1896, but there’s no doubt it lived a legendary life while it lasted. It was the summer of 1919, and ice cream vendors across the neighborhood were panicking about their fast-melting frozen treats. That is, until two siblings, Archie and Elton Kohr, came to the rescue with a genius idea. They blended egg yolks into the ice cream mixture, which not only slowed the melting, but also accidentally created the world’s first silky-smooth frozen custard. Rumor has it the pair sold over 18,000 cones the first weekend alone. Checkmate, Italian ice. No, we’re not talking about the Cyclone. Before the rickety wooden ride we know and love arrived in 1927, there was a 600ft-long switchback railway. Opened in June 1884 by a guy named LaMarcus Thompson, the coaster, which stood where the Cyclone is now, traveled at 6mph 50ft above ground. To put things into perspective, the Cyclone is 85ft tall, and the tallest in North America hovers around 456ft. Oh, and it only cost a nickel to ride (today, the Cyclone costs 10 credits, or $10). You can also thank the trailblazing neighborhood for introducing the first bike path in the country. Designed by Frederick Law Olmsted and Calvert Vaux and built in 1894 to connect Coney Island to Prospect Park, the route, which ran five miles along Ocean Parkway, is still a popular choice among riders (though it no longer connects to Prospect Park). Back in the day, cyclists were limited to speeds of 12mph on the bike path to avoid racing -- now, you’re free to speed along as you please. Before the dapper Hollywood actor won the hearts of audiences on the silver screen in movies like North by Northwest and His Girl Friday, he captivated crowds as a Coney Island entertainer, teetering on 6ft-high stilts through the ‘hood. Grant was hired by Steeplechase Park founder George Tilyou in the early 1920s, and his costume consisted of a bright-green coat, jockey cap, and black trousers. 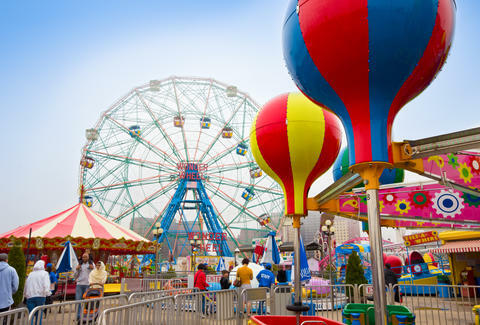 Believe it or not, Coney Island was quite cliquey during its early days. While the neighborhood’s three miles of sandy beaches welcomes crowds from all walks of life free of charge today, this wasn’t always the case. Folks could either shell out 10 cents to a quarter at the private bathhouse for access to the exclusive beach, or take their sunbathing elsewhere. It wasn’t until 1923 that the city built the public boardwalk and opened the grounds to everyone. The Mermaid Parade wasn’t the first spectacle to hit the streets. 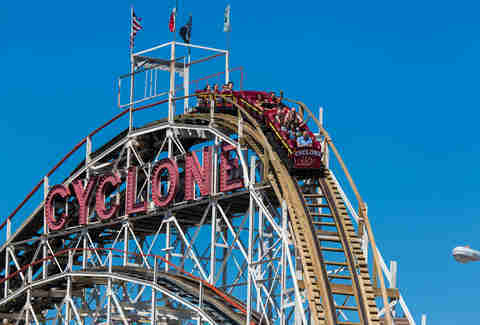 For five decades, from 1903-1954, Coney Island hosted a weeklong extravaganza, which became known as the Coney Island Mardi Gras parade, complete with floats, music, and thousands of cheering spectators. Unlike its fishtail-and-body-paint-focused counterpart, which coincides with the summer solstice, revelers rang in this parade following Labor Day. A lot of good came from debauchery -- in fact, the whole shindig was organized to fundraise money to rebuild the Mission and Rescue Home for Wayward Girls, which was destroyed in a fire. ... it does come with a pretty cool backstory of its own: Years after the S.S. Andrea Doria, an ocean liner, sunk off the coast in Nantucket in 1956, a lightbulb went off in shipyard welder Jerry Bianco’s head. He decided to build a submarine with the intention of recovering the ship’s valuable remnants. Although the vessel toppled over on its first trip -- and was later damaged and washed out by a storm -- his vision lives on in the water. The neighborhood dogs may now be $4 a pop, but Nathan Handwerker (yes, as in that Nathan) charged customers just five cents in 1916. 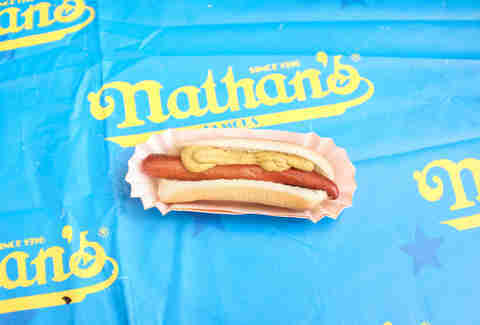 As the story goes, he did so to compete with his former employer, Charles Feltman (who some say invented the hot dog), who was doling them out for 10 cents each. Not everything has changed, though -- the secret recipe is the same as the original from 100 years ago, and it's still sold on the corner of Surf and Stillwell Avenues. Alisha Prakash is a contributing writer at Thrillist. 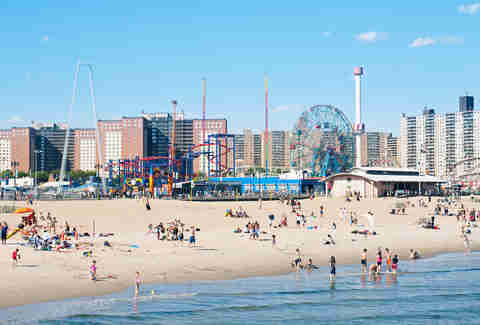 She can look past the fact that Coney Island wrongly calls itself an island, if it means mermaid parades and hot dog eating contests live on forever. Follow her on Twitter and Instagram.